Pros: Straight forward approach that mimics the actual test environment. Review: I scored a 97 on the written with the help of this course. Couldn't be happier. Review: This program is great for practice. The VOR sections aren't too helpful. The questions are generally repetitive despite their advertised (700+) questions. Your overall score seems to improve simply because you've seen the question before. Review: Well done, easy to use (software version). Study a chapter, then get a quiz on it. Or go for the full quiz. Recommended for students like me. Review: Use Software daily for student preparation for Written Test. Great tool, much more flexible than online version. Review: It's excellent , just like what i though about . Cons: Several of the study test questions did not provide the correct information to answer correctly. Cons: Gets old quick. Expensive for what it is. Cons: 1 year limit, can't take multiple, unit based and overall tests. Q: How long will it take for the product key and instructions to arrive? A: After purchasing, allow up to 8 hours for an email with an activation code and instructions for downloading the software. A: Yes, it will work on both Windows 7 and Windows 8. A: Sorry, Gleim stopped offering this on a CD several years ago. It is only available as a software download now. Q: how many times can I download this. A: This License allows you to install and use the Gleim Software on a maximum of two computers being used by the same single user. Q: Can software be down loaded to iPad? A: No, this will only run on Windows based computers. Q: What is the difference between this software and the ASA Private Pilot software ? A: They are basically the same information, from two different companies. The Gleim software is only for fixed wing aircraft (no options for rotorcraft, lighter-than-air, etc.) and only runs on Windows computers. It's also only available via a software download. The ASA Private PrepWare includes all Private Pilot Exams (airplane, helicopter, glider, gyroplane, etc. ), runs on both Windows and Macs, and is a CD-ROM instead of a software download. Q: will you be comming out with a macintosh verson soon? 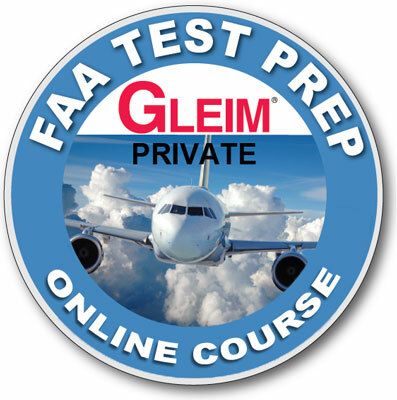 A: There are no plans for a Mac version of the Gleim software, however ASA offers something very similiar called the ASA Private Pilot Prepware that does run on Mac systems. Q: Does this CD ROM work on a Macintosh computer? A: No it does not, it is listed as working for Windows 95 or later. A collection of MP3 audio files with 11 lectures to prepare you for the Private Pilot Airplane knowledge test.